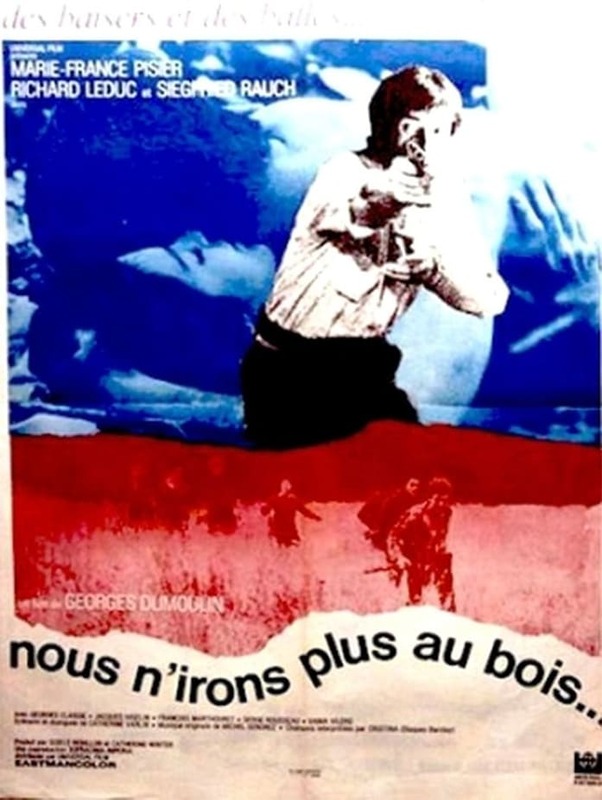 We Will Not Enter the Forest entered French theatres as Nous N’Irons plus au Bois. The film is set in the waning days of the Nazi occupation of France. The German troops have no real clout, and as such are the targets of taunts and kidnappings. Marie-France Pisar plays a resistance fighter who falls in love with a « good » German who has prematurely surrendered. This film resembles an American Civil War picture in which neither side of the war is the villain. Filmed in 1969, We Will Not Enter the Forest was not released in the U.S. until 1979.